"The Republic" is more than just a bar. It is a creative movement, a creative space and a place where like minded people can flock and fold together and share a unity of purpose. The elements of music, atmosphere and good vibes is central to achieving this. Akpeteshie, our local spirit is indeed the "Spirit of the Republic". It fuels our creativity and solidifies our friendship bonds in a homely manner. "One of Republic’s selling points is its great drinks, more specifically the well mixed cocktails at affordable prices. The Mojitos are the best we’ve tried in Accra. If you’re feeling peckish they also have easy, bar snack-esq food on the menu......... "
Surprise your friends with a Gift Card for a birthday, job promotion, or simply just for the heck of it. No need to use cash once you have your gift card! Its back in season Folks!!! We are getting older, and wiser as well, come celebrate with us!! There would be lots of fun events and activities. We have interesting Live music performances, DJs and activities for this month. This includes culinary events too! Republic Cocktails are all made from Cane Spirit called "Akpeteshie", a local equivalent of Cachaca. Republic is revamping its menu to cater to a more indepth and Nouveau-Ghanaian dining experience. Enjoy a smooth and safe ride home after all those Akpeteshie drinks. UBER is available in the vicinity. 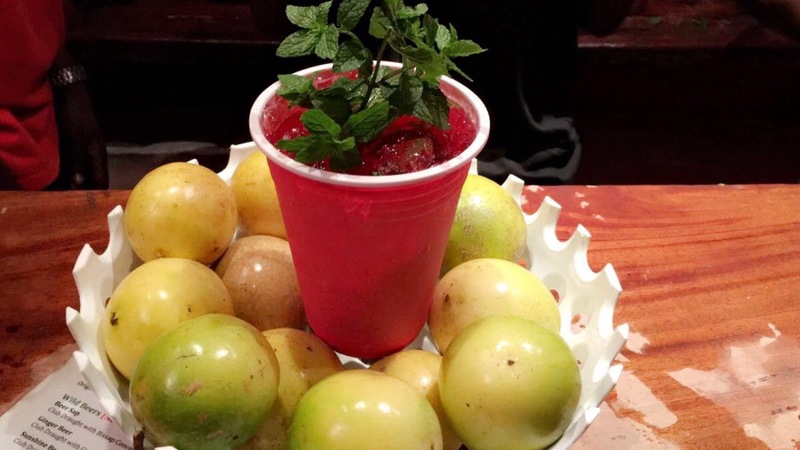 Try an indigenous local Akpteshie Cocktail from a tall list of options. You could also opt for our very tasteful non-alcohol versions. 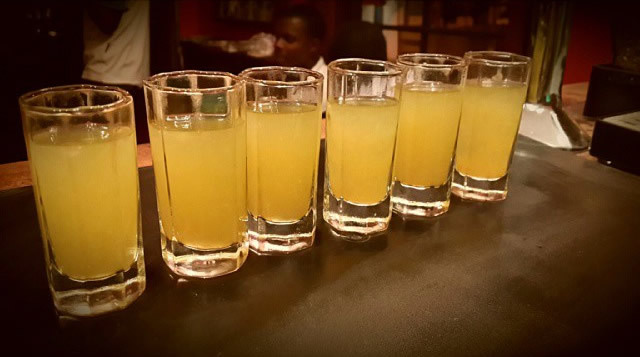 All our Akpeteshie Shots are made from a sugarcane distilate known in some parts of the world as Aguardente and Cachaca. This Drink has gained Notoriety as the most popular Cocktail in the Country. 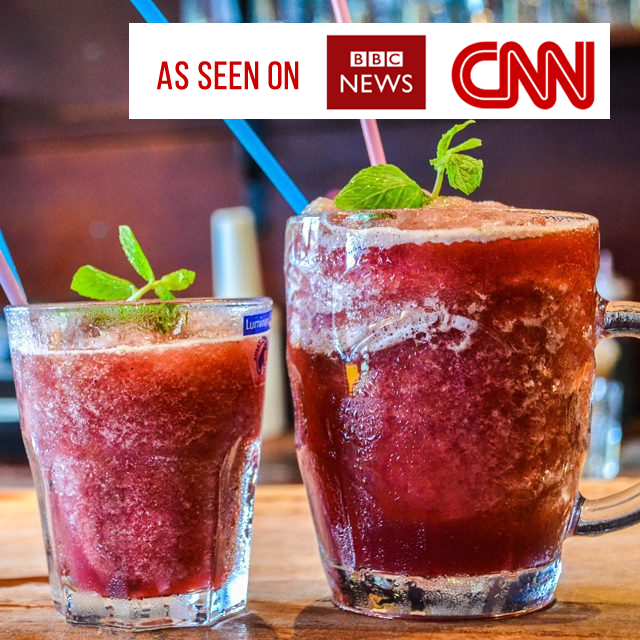 It is made of very simple ingredients including Pulverized Ice, Spirit Shot, Hibiscus, Lime, Mint and Brown Sugar. Every Thursday from 10pm till late! Every Tuesday, its beautiful, collective and fun!! Come and be a part of this experience. All genres of music are present!! Enjoy Live musical performances from various artistes every Wednesday evening. Gate fee is 20Gh and all proceeds go to the artistes. Start an early evening every thursday with the funtastic collaborative activity. Bring your friends and form teams. It is free and fun with lots of wonderful prizes to be won!!! Every Friday & Saturday Evening we have several Djs from all over the world on rotation. World music from every corner of the globe is listened and danced too with vigour and concentration. Its free to come in. We broadcast this event on internet radio.